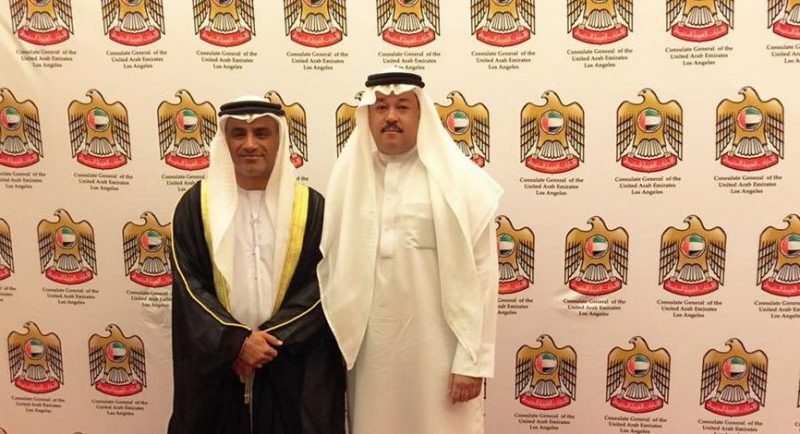 On December 1st, 2016, Master Al-Nasser and Mr Chan had the pleasure to attend the 45th Anniversary of the United Arab Emirates on behalf of the UAE Consul General in Los Angeles, His Excellency Abdulla Al-Saboosi. The UAE is a federation made up of the following emirates: Abu Dhabi, Ajman, Dubai, Fujairah, Ras al-Khaimah, Sharjah, and Umm al-Quwain. This years event was held at the Four Seasons Hotel Los Angeles at Beverly Hills, CA.